AK answers ten questions from an undergraduate. I was about to post a comment on the thread, "Want that $1m in liquid assets or $120K in passive income? Thursday 19 March 2015". I am somewhat in a similar situation as the person who emailed you (uni/about to graduate) and have some questions as well. Currently I'm vested in a couple of IPOs from 2010 onwards (dad's advice) and some stocks through SCB (no min comission) but only got really active in 2014/2015. Building up my knowledge at the moment through borrowing / reading books and the internet. 1. You seem to be skilled in both FA and TA from your 2010 posts as well as book recommendations and current posts using Chartnexus, and advocate learning both. Would I be on the right track in learning FA to sieve out companies and TA to pick a correct entry point? AK: I am probably semi-skilled but, yes, I think we should know both fundamental analysis and technical analysis. Fundamental analysis (both quantitative and qualitative) tells us the track record, health and prospects of a business while technical analysis provides us a window into Mr. Market's emotions which might give us clues as to when might be a better time to buy (or sell). 2. Do you do any trading currently or in the past and what is your take on trading? Considering advocating a certain % of my portfolio to it. Not sure if it's the right move. Say 5-10%. AK: I do a bit of trading and make some good money from time to time when I see what I feel is a good set up. So, it is not about allocating a percentage of my resources to trading. It is about whether there is a good set up. I will say that a good trader must know technical analysis. There are many tools in technical analysis. Each of us will have to choose the tools that we are best at interpreting with a high level of confidence. Only time will tell which combination of tools works best for us. 3. With so much knowledge out there, it can get confusing what path to take sometimes. For example picking individual stocks vs etf indexing your portfolio (random walk down wall street, EMH) vs a permanent portfolio weighted by certain % (equities, bonds, gold, cash) vs trading vs a myriad of other strategies and derivatives. Would you have any advise for this? AK: What I will tell you to do is to explore all the options and then ask yourself if the options will meet your objectives. Choose the one that meets your objectives best. Which method we choose must match our motivations. It is about choosing the right tool for the job we want to have done. I have my own way and I am careful to say that it is never my way or the highway. 4. With regards to CPF, I'm also wondering whether I should do full 100% transfer from CPF-OA to SA in the first few months/years of working life to allow 4/5% risk free interest rate compounding to work it's magic. I have no education/housing debt in the near future. However I understand that cash in SA wouldn't be able to buy shares except for STI ETF's and Bond Index, is that a relevant point? As I wouldn't have a potential "warchest" to scoop up deals when times are bad. AK: The CPF is a risk free and volatility free instrument available only to Singaporeans and Singapore PRs. If we can, we should take full advantage of it. Money in the CPF-SA earns 4% to 5% per annum but the downside is that it is not near money. I decided very early on that I wanted something that I didn't have to worry about monitoring which would give me a meaningful nest egg. The CPF-SA was an obvious choice for me. It is a low hanging fruit which I decided to pick very early on. If all my investments should go awry, I would still have my CPF savings. I used cash on hand to invest in stocks and used some of the funds in my CPF-OA for investments for the first time during the GFC. 5. The irreversible part of transferring is also an issue to me. Thus would it be prudent to transfer a certain % out instead? Say 50%. Or whatever I feel comfortable with. Open to ideas. AK: Oh, for sure, whatever you do, you have to feel comfortable with the decision. What I am comfortable with, you might not feel the same. However, if you have read my blogs where I shared how much I have in my CPF-SA and CPF-OA today, bearing in mind that I transferred all the funds in my OA to the SA very early on as a working adult, it is possible to beef up our SA and yet have substantial savings in our OA by a certain age. It is about delaying plans to buy a home by a few years. It is about a willingness to downsize and locking in capital gains if the opportunity presents itself. It is about being prudent in personal finance always so that we have an option not to drain our CPF savings dry. 6. Lastly, i'm also looking at insurance. Correct me if I'm wrong but I believe you are an advocate of BTIR? I do know you had some non-term plans from a long time ago from your blog posts. I am considering BTIR, but also considering term vs whole life (premium paid to certain age and insured for life) as I'm wondering whether having the insurance over my entire life is worth the extra premium paid. AK: If I had known the things I know now when I was much younger, I would not have bought any whole life or endowment plans. Of course, there is no way to know whether a much younger AK would have been a prudent investor or if he might lose all the savings from buying term instead. Anyway, now, I believe that we do not need a whole life policy (for examples, till 85 or 100 years old) unless we have dependents in our old age. Buying term life till age of 55, for example, makes better sense and we are more likely than not to save a bundle of money. 7.What are your takes on the SAF Group Term Life Insurance Policy as well? Is it worth keeping? $12.80/month for 100k coverage. If it is worth keeping, could I just upgrade the plan to have a higher premium and thus higher coverage, which you mentioned 500k, thus that would be my term insurance part settled? I understand 500k is just a rough guide and should be individualised. AK: I think that is a value for money Term Life Insurance. It depends on how important you are financially. Do you have dependents? How many are there? How much money from you goes to supporting them? What if you were to suffer from permanent disability and not death? 8. I do also already have a private H&S plan, would be waiting for Medishield Life and the relevant changes by MOH. AK: Your private H&S is an integrated shield plan. You don't have to do anything because Medishield Life will form the foundation of your private H&S plan. 9. I'm also wondering what other steps should I take on my financial journey. AK: Well, always start with the basics. a) Make sure that you are always prudent with your personal finance matters. b) Get the necessary insurance coverage but don't overpay. c) Know what are needs and wants. Delay gratification. d) Go for low hanging fruits. e) Invest in income producing assets to supplement your earned income. f) Be an opportunist and buy more when assets are on sale. g) To do that, have a war chest ready always. 10. Also you mentioned "You probably read my blog posts on what fresh grads should think of doing first to help towards a financially secure future. Must always get the basics right first." May I enquire which are the blog posts you are referring to? Would love to read the related posts for fresh grads/young adults. AK: I have thousands of blogs by now and it is quite hard for me to track down specific blogs. From time to time, I unearth useful old blogs. I think if you were to do a search in my blog, you might find some of the blogs which might be useful to you. Many are already found in the right side bar of my blog. Hope you could help a young Singaporean adult in a small way. Thank you very much AK, your blog has been an inspiration and the frankness of the content is great. Sorry for the very very lengthy email. Read 9 wealth building blog posts. Thanks for sharing. I understand when u say replying to email can be equivalent to a blog post. Replying the questions would certainly takes time and efforts. Being a young member of the workforce here in Singapore, I have only been saving regularly ever since I started working, and will like to start exploring ways of wealth accumulation. From the range of investment assets (stocks, ETFs, unit trusts, REITs), what would you recommend a novice investor to study and initiate her investment journey? Thanks once again! Look forward to hear your thoughts! Read and learn as much as you can first. Then, ask what you want to achieve. 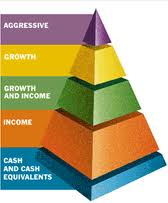 You will then know the type of assets to invest in which might help you.